Facebook, Twitter and Snapchat have been using the app inventory of mobile devices (or AppGraph) to drive targeting and performance for advertiser campaigns for a while. YouTube has also joined the ranks of top publishers using the AppGraph to drive results. 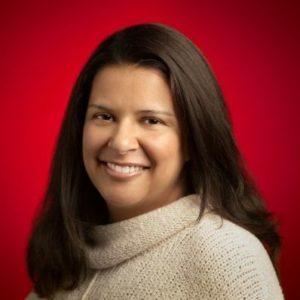 According to TheDrum: Diya Jolly, director of product management at YouTube and product lead for monetizing the site, detailed the launch of the new tools: Custom Affinity Audiences; Director Mix; Video Ad Sequencing; plus updates to how it works with measurement tools from Nielsen and Oracle. Custom Affinity Audiences is a targeting tool that lets advertisers segment and target YouTube viewers based on intention signals derived from their search history or the kind of mobile apps they have installed. Earlier this year, YouTube also eliminated the use of 3rd Party pixels from the platform. For marketers who used cookie-based ad serving or DSPs, the impact was immediate and reduced their cross-device capabilities. Walled Garden: When YouTube was just a bunch of home videos of kids falling off skateboards, Google made YouTube very open. Now, YouTube is one of the premier platforms for video content distribution so stopping data leakage became a priority. The combination of Custom Affinity Audiences and eliminating 3rd Party pixels clearly demonstrates YouTube is setting itself up as a walled garden where you can target all sorts of data but you can’t take it with you. Imagine you run ad sales or ad operations for a publisher selling video ad units or rewarded video. Maybe you offer advertisers some interesting first party data (like a rainy day segment from a weather app) but chances are the targeting options your company is offering is the same as they were on desktop – placement, volume, some outdated cookie audience metrics from Comscore or Nielsen. Facebook and YouTube have raised the bar with superior targeting capabilities. Advertisers can reach their competitors’ users directly as well as drive high value, look-alike audiences from affinity insights. Assuming you have the audience and scale, how do you plan to compete without the same type of targeting? For publishers looking to close more in app opportunities in Q4, Skydeo AppGraph lets you respond intelligently to RFPs and sell/serve ads just like Facebook/YouTube. Whether by single campaign or always on, we can easily integrate with your ad server, DFP or DMP.